A links site for information on some of the greatest comics and characters to come from the world of independent and creator-owned publishers and imprints. 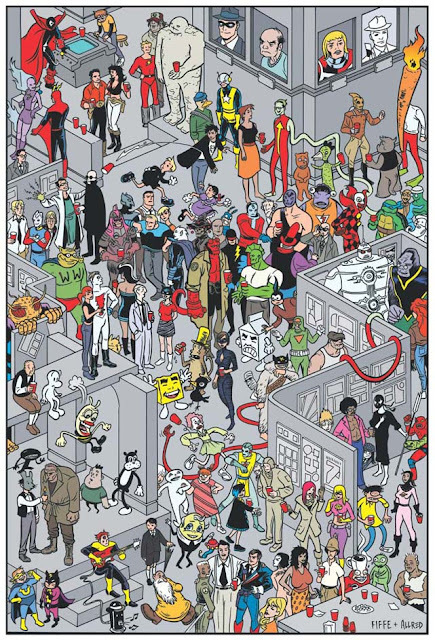 We'll cover characters who may not be as world-famous as those from the Big Two, but are no less worthy of attention. 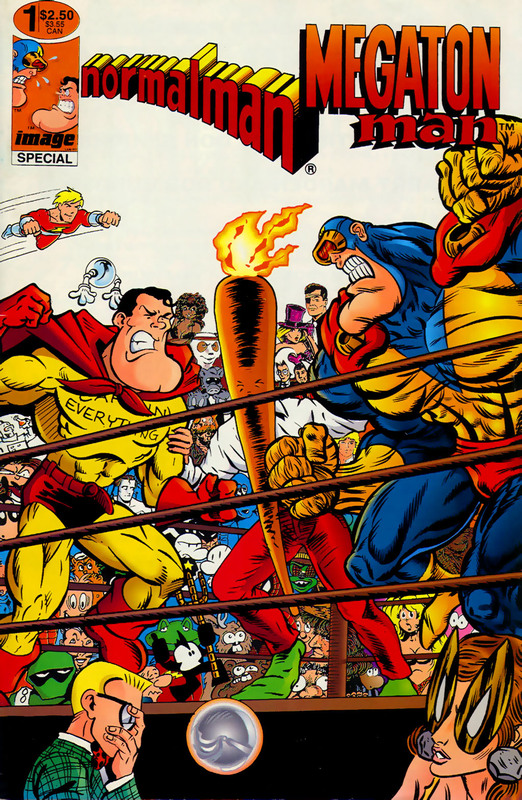 Cover to War of the Independents #1, by Dave Ryan. Pin-up from Madman 20th Anniversary Monster by Mike Allred and Michel Fiffe. 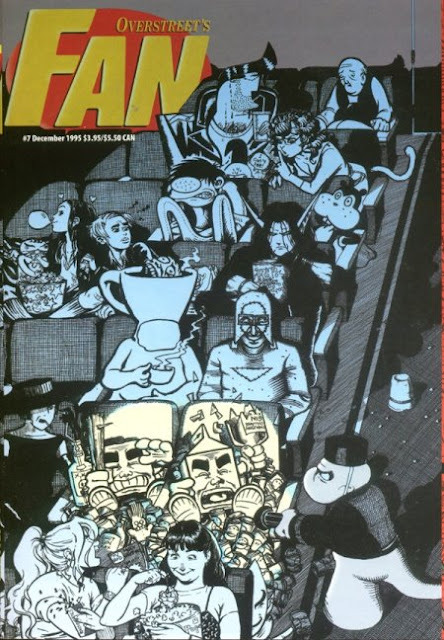 Cover to Overstreet's Fan #7. 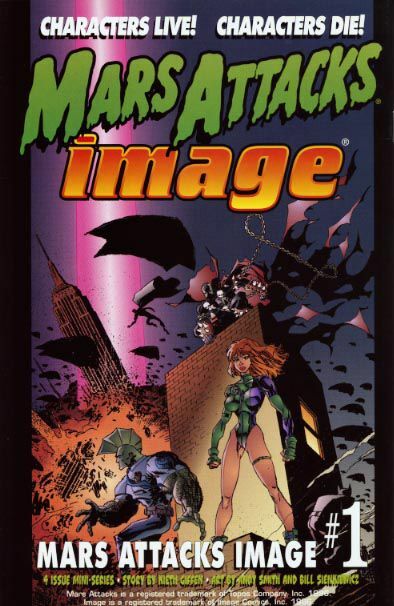 Cover to the normalman/Megaton Man Special, by Jim Valentino, Don Simpson, Bob Burden, Larry Marder, and friends. 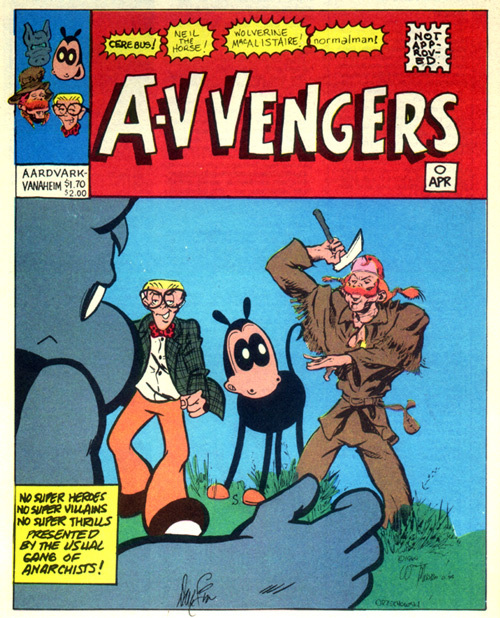 The characters of Aardvark-Vanheim, as seen in this pin-up from normalman #6, by Dave Sim, Katherine Collins (nee Arn Saba), Bill Messner-Loebs, Jim Valentino, and Tom Orzechowski. 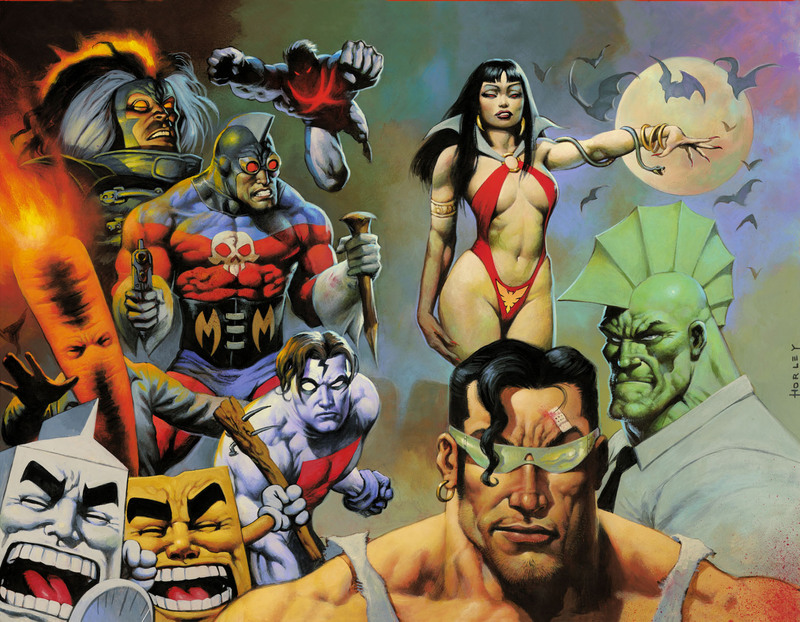 The cover to Wizard #31 showcases the stars of Dark Horse's Legend imprint. By Art Adams, John Byrne, Paul Chadwick, Geof Darrow, Dave Gibbons, Mike Mignola, and Frank Miller. Miracleman, Airboy, the Heap and other characters from the now-defunct Eclipse Comics come together in this piece from the Eclipse Comics 1993 Mail Order Catalog by C. Bradford Gorby. 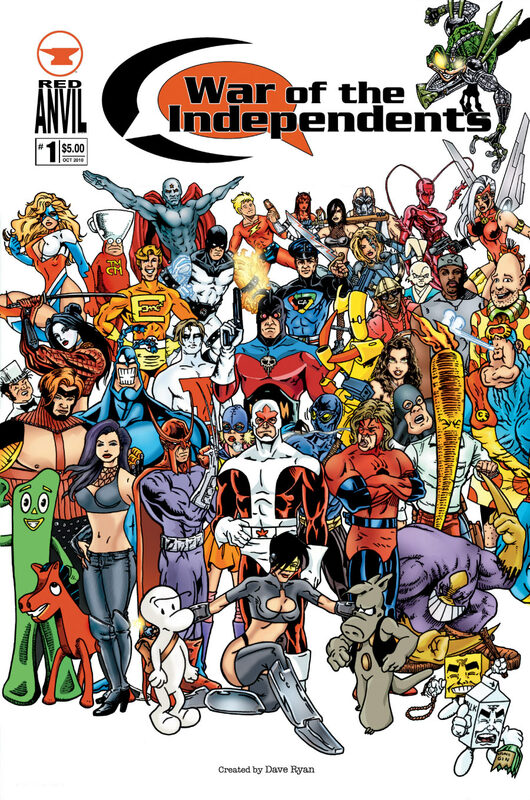 Some of the greatest indie comic book characters band together in this wraparound variant cover to Sharky #4, by Alex Horley. The cover to Invincible #60 by Ryan Ottley, showcasing nearly all the prominent heroes of the Image "Universe". 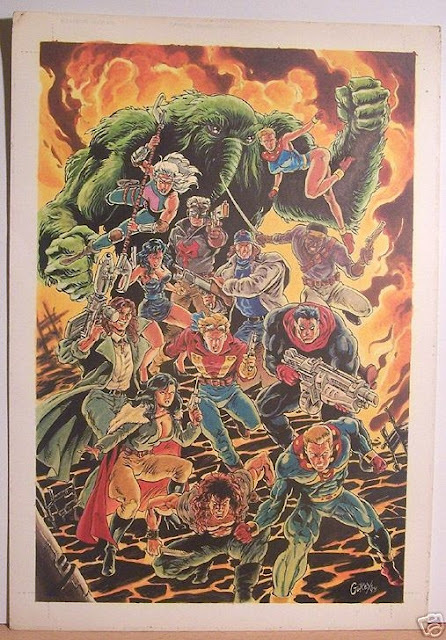 Remember when Gen 13 and the other WildStorm characters were part of the Image "Universe"? 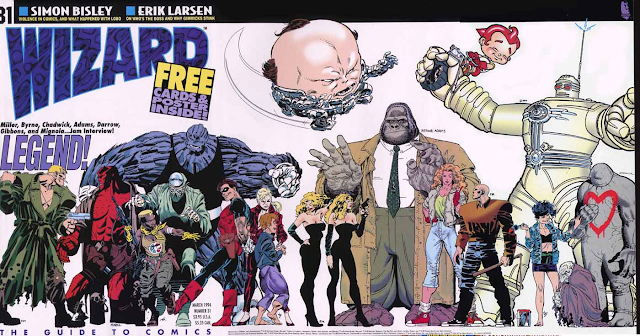 This advertisement for Mars Attacks Image #1 was done by Erik Larsen. 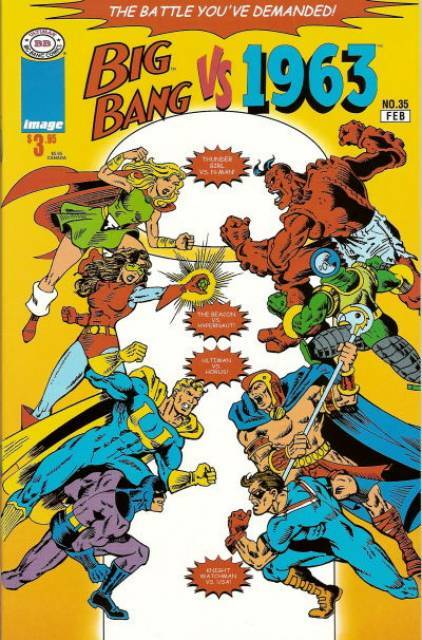 Big Bang Comics and Alan Moore's 1963, pastiches of the Big Two's yesteryears, clash in the cover to Big Bang Comics #35 by Jim Valentino and Chris Ecker. All characters and artwork are ™ & © their respective owners. No intellectual property infringement is intended. A Brief Guide to the Image "Universe"
I'm a native and life-long resident of Rhode Island. I'm a also pretty big fan of cartoons and animation, and films, comics, and video games.